Is the Central Channel the same as the Chong Mai? What is the difference between the Central Channel and the Chong Mai? I have heard someone say that they are completely different things and someone else say that they are the same thing. I’m confused. The Chong Mai and Central Channel that Saul Goodman refers to are different things. There are several extraordinary vessels of energy circulation described in Chinese medicine of which the Chong Mai is one. Central channel is a term used in many different systems and refers to the central path of energy through the body. Saul describes the central channel as a circuit of life force that moves along the pathway of the spinal cord. It directly affects the functioning of the meninges, the spine, the central nervous system, the Governing Vessel meridian (the Du Mai), the chakras, and the craniosacral fluid. So the central channel is different from the Chong Mai, even though some of the extraordinary vessels are within the central channel and central channel work will affect them. A component of Shin Tai work is specifically called Central Channel work. Practitioners identify and release patterns of stress along the central channel of the body using non-force contacts that release restriction in the meninges. Release of meningal stress patterns helps to improve a myriad of physical problems along with increasing emotional, mental and spiritual health. As the Central Channel opens, all of the components along its pathway begin to function in a more synthesized way. To really understand and work with the shin tai central channel material a practitioner needs to experience it in her/himself as well as work with it in others. Receiving central channel treatments facilitates a direct engagement with the central channel and how it affects the body/mind/spirit. Explanations and information about it, like what is presented in this article, can only approximate the truth of what the central channel is. Don’t worry so much about specific definitions, and try not to take too much energy attempting to make other systems and interpretations make sense with each other. Directly experiencing the different parts of your own system and those with whom you work is really the only way to understand it in the way that you are wanting. Question - I often get overwhelmed with diagnosis. There are so many things to consider and so many methods of diagnosis (kyo/jitsu, pulse, meridian, face, tongue, voice, structure, motion, etc.) that often I just shut down and can't figure out what to do. How do I find the most important thing to work on at each moment in a treatment? Response - The word diagnosis itself can be a trap. A broader way to think about it is being responsive to the receiver. Watch, listen and let yourself respond naturally to what you notice. You simply have to listen, receive and respond. What comes to you, no matter how basic, has value. Let yourself focus on what you do notice, instead of what you don't. Don't force diagnosis, don't go chasing after information. If you find yourself struggling, go more simple and more general. This applies to both diagnosis and technique. If you have studied shin tai work, remember that the 'diagnosis' for the central channel and Governing Vessel/Conception Vessel is more primitive because they are a more primitive level of energy in the body. We use motion as the main diagnosis for this part of the system. That might sound boring or unimportant or not very 'professional' compared to finding constrained liver chi or a racing SP pulse, but motion can give potent information regarding the condition of life force and how to enhance it. Beginning a treatment by addressing this primal part of the energy system (GV/CV) will naturally have you beginning with observation of motion. If and when the treatment moves into working with more specialized aspects of the energy system, like the 5 elements or 12 meridians, you can apply the more specialized types of diagnosis that you know for guidance. Notice what you are drawn to and what comes to you rather than looking to figure out every possible type of diagnosis. For example, you may find yourself becoming very aware of a client's hip structure partway through a session. If your attention is drawn there repeatedly and then you notice that motion is quite restricted through one side of the pelvis/sacrum, you might decide to do a structural evaluation and go through the structural adjustments. Another example could be that you find a client's voice particularly distinctive and all the sudden it comes to you that their cadence is very sing-songy.... this indicates imbalance in earth energy (ST/SP). But if a type of diagnosis is not coming to you with relative ease, it is not necessary to chase after it. Being able to perceive a client’s condition requires that your system is clear and balanced. 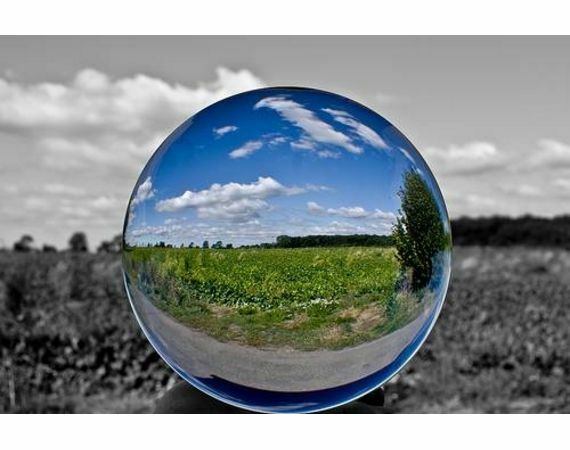 The best way to set yourself up for clarity of perception during a treatment is to prepare ahead of time. It is optimal to be rested, clear, aligned and relaxed. Good quality sleep, food, self-development practices, and treatments for yourself are key factors. When you are in balance and full of vitality, your physical body is clear, your information system is giving accurate feedback, and you are in alignment with the higher vibrational aspects of your being. This enables the flow of accurate diagnosis regarding the person you are working with and how to best facilitate freedom in their system. In your everyday life it may not always be possible to be in optimal shape for every treatment. In that case, make sure to do at least a few minutes or even moments of relaxation, meditation, proprioceptive exercise or conscious breathing before beginning a session. Getting more aligned is a part of the treatment process; it is ok to sometimes do that at the beginning or even during a session. Otherwise you will be floundering around, kind of faking it and not really making headway in introducing more flow of life force. If you find yourself struggling to figure out what to do during a treatment and what level of diagnosis to focus on, the best thing to do is take a few deep, quiet breaths, relax a little more and go into listening mode. Often when a practitioner is struggling they begin to look harder for things to see/diagnosis/understand - they thrust their energy outward, searching for information. This is a natural response. However, it is more helpful at that moment to actually soften and go into a more listening and receptive mode. You want to receive information, not look for information. Let yourself relax in the unknowing for a little bit without freaking out that you don't know what to do and you have to find something. You can do something general while you are in this process, like palming down the back, a fascia release or gathering in the hara. While you are relaxing into this listening mode, notice where your attention goes in the receiver's body. Let yourself receive what their body is communicating. There is no need to label what is 'wrong' and figure out everything that is not working well. There is only a need to listen, notice and respond in a way that enhances the flow of life force. Maybe you don’t know which meridians in the legs are kyo or jitsu but you do notice the legs look very still and empty. Do some stretches, apply pressure to stimulate chi, rock and press on the sacrum. Simple, basic techniques executed with sincere intention will have a therapeutic healing effect. If you can keep this in mind it will be easier to relax and offer touch that is truly supportive to a receiver's well-being. It may be that you naturally move into some more specialized methods of diagnosis & technique during a treatment, but this is not always the case, especially when you are doing shin tai work. A note of caution: Sometimes when a practitioner is struggling to find a direction during a treatment, they initiate conversation with the receiver. Sometimes this is a way to open a door to some helpful information and can lead the treatment into productive bodywork, but often it derails the session into an experience that will not initiate much change. Of course, every treatment does not need to be transformative to have value; some very powerful sessions are more integrative and soothing. But be aware of the tendency to engage in verbal dialogue when you are not sure what else to do. This serves to perpetuate the receiver's story rather than move beyond it, and prevents moving into deeper levels of experience that have inestimable value to both of you. We are living in a world where evolving communication networks create increasing global connection. These networks interface with our bodies, creating a convergence of technology and biology, and we are being influenced in new, often times insidious ways. Our body chemistry, moods and thinking are being affected and it is often having a negative impact on our health, happiness and spiritual well being. Images, headlines, key-phrases and product branding generate and populate all levels of the now social media lifeline that acts like a bloodstream within the mass global psyche. Humans whether in possession of devices or not are constantly receiving and conducting the subliminal energetic stream of events, opinions and projections through their own information system. It deeply affects chemical, emotional, psychological homeostasis, and produces numerous symptoms that may be a new classification of health maladies. Bottom line: Our friction based, digital information system can be destructive to all organic life forms. In the case of humans, it deteriorates physical, emotional, psychological and spiritual stability. There are two main reasons why biology and technology are progressively interfacing and synthesizing. The first reason for this interface is that our nervous system has a digital information component that operates in similar fashion to digital technology. The second reason for the interface is that our bodies also have a non-physical or 'wireless' component that is developing rapidly and functions much like our wireless technologies. The fact that our biological systems have these similarities to our communications technologies creates a situation where the systems can interface and interact. The brain/nervous system has a digital information component. It absorbs and processes digital information and interacts with software programing. Once a program is learned and used regularly, the system departs from conscious thinking speed and starts to interact with the program at a subliminal computer speed. Consider what is happening when we watch television. We are looking at a screen that projects a non-stop stream of changing images. In reality what we are seeing are millions of colored dots, rearranging themselves in milli- seconds. The eye (retina) receives the digital information and our brain interprets the images. Video games have even more impact to our to the digital aspect of our system because of their interactive nature. Games are composed with layers of challenge and response that increase in difficulty as one goes deeper into the game program. Playing overtime, the mind/nervous system interface with the program and the player begins to react much faster than they would with deliberate thought. The player is now 'in' the program. If you close your eyes immediately after playing a video game you will continue to see the game characters moving through your mind field in full color showing that we have internalized the digital information and programming. The body-mind has a non-physical or wireless energy/information system which is becoming more sophisticated. This is a system that has long been identified in Chinese acupuncture and in Ayurvedic medicine. It circulates within the physical body and extends up to five feet beyond the skin border. The human wireless apparatus** is responsible for how we interact with nature, animals and other humans on instinctive, emotional and mental planes. It can be penetrated by, or even align with (entrainment***) various digital frequencies such as those broadcast from cell towers, digital media, and wireless devices. Our wireless apparatus picks up the information transmitted by these systems on an unconscious or subconscious level, as we are now swimming in a sea of high frequency digital energy. The influence of interaction between digital wireless technology and the the human wireless system is determined by the quality of the information and images being transmitted and received. Although there is some positive uplifting content in the 'global feed,' the majority of the information circulating in the ever increasing volume of wireless systems is overwhelmingly negative and energy draining. Our human systems are being bombarded with a constant flow of violent distorted images, and anger, fear based dialogue that manipulates, conditions, and even alters thoughts and perception. This flow unconsciously influences how many of our perceptions, opinions and ideas are formed and then expressed, not only externally, but also within our internal mind chatter dialogue. Another important layer in the information exchange is the direct exchange of frequencies from one human to another, from community to community and from group to group. This has been called the global brain; it refers to the interchange of telepathic, psychic and emotional energy throughout various strata of the planet. It is sometimes simply called osmosis. Of course, this exchange existed long before digital and wireless technology, but since these biological/bio-plasmic** counterparts to technology have also been developing, they are now playing a greater role in our evolving human experience. Therefore, these influences should also be noticed in terms of how they effect day-to-day life. Most people reading this article live in one of the fortunate regions of the planet where life is good. We enjoy food, shelter, opportunity and a sense of purpose. But if we stop and assess the overall global condition and the degree of war, tension, displacement, grief of loss, etc. that is occurring every moment, we realize that there is a tremendous volume of heavy negative vibration entering both the natural and technological information grid. As we go along in our daily routines, not often noticing the intense level of strife existing in a high percentage of the globe, we are still receiving the emotional and psychological information of pain and suffering through our bio-plasmic wireless apparatus. We are being impacted and we are reacting even though much of the input doesn’t register consciously. The human wireless system can also be referred to as the outerbody. ** The outerbody is an evolving system that functions as an extension and upgrade to our physical systems, particularly the nervous system. It also functions as a semi-permeable, selective membrane. The outerbody is currently in a logarithmic growth spurt. On one hand, this brings a new capacity and vision into our human environment. On the other hand, it causes a heightened sensitivity to the more coarse qualities of the physical world such as pollution, synthetics. emotional upset, and psychological stress. The sophistication of the outerbody system is catalyzed by awakening consciousness along with any activity that stimulates greater awareness: healing work, yoga, meditation, positive thinking, therapy, etc. Since the development of the outerbody system is part of our natural human evolution, even people that are not directly developing awareness through specific practices are subject to the various effects of these changes. To learn more about how to feel and manage your outerbody, click on the following link to download a free 30 minute guided audio: Outerbody Expansion. Are there ever days when you wake feeling anger, fear, anxiety, and weakness? Are there times during the day when ill feelings seem to just sneak up on you? Do you wake up in the night with ominous fears, violent impulses and dark thoughts? If you do, take a moment to evaluate these states; you might notice that often times it is not coming from your immediate life circumstance. You might notice that your life is actually fine - generally prosperous, generally happy, generally healthy - with just the usual challenges that don’t match the magnitude of the negativity you are feeling, especially when compared to what others around the world are experiencing. You might notice that the composite of your life system is good and relatively balanced and seemingly not related to the negativity you are feeling. When this is happening it can be useful to consider that it is a product of the involuntary intake of your wireless bio-plasmic system. What is streaming into your system may be having a very powerful effect on your emotions, mind and body. You might also begin to notice when this dynamic is affecting others around you including partners, family, friends and clients. Digital/wireless intake, and what we then subconsciously broadcast as a result of it, can be affecting our health, relationships and productivity. Be mindful of your internal dialogue in the general flow of your daily life. Noticing when you have internal friction and aggression toward others. Notice when you are having negative dis-empowering reactions toward people that you encounter in the day-to-day life flow, like while driving, shopping or talking on the phone. Notice when teachers, speakers, media, etc. are generating fear, anger, antagonism and/or divisiveness through what appears to be routine reporting, writing, dialogue, teaching and presentations. Notice the choice of language and when they are using words that exaggerate or exacerbate the negativity. Media Fast: Take a day, 3 days, a week or even more and turn off all media devices and input. This will create a similar effect to food fasting where afterwards you are more sensitive to quality, subtleties of food you eat. After staying away from media for a period of time you will notice how much you are being affected by listening and watching. You will also notice the rough and aggressive quality of much of the information. Consider that whatever and whomever you don’t like or agree with represent a quality you have within yourself that you are projecting onto your external landscape. This is the 'Buddha nature.' You can only see in others what exists within yourself. Also, if you believe that we are all connected within a unified consciousness ('we are all one'), then what or who we don’t like must be part of ourselves. Therefore if we don’t like a tyrant, politician, a social group, a co-worker, etc. it can be useful to consider that those people are ‘acting out' a very difficult aspect of the mass consciousness of which we are a part. Our opposition actually magnifies that to which we are opposed. Whatever we are against we eventually become. We cannot change others but we can notice what we don’t like and seek to change those qualities within ourselves. When we show compassion for even the most diabolical person or idea, we are also showing compassion to ourselves. The human information system is composed of wired and wireless components. We receive information, process it, and also broadcast through our bio-plasmic outerbody system. We can therefore create substantive high dpi digital content and broadcast it to multiple layers of our environment, including instinctive, emotional and mental planes. Over time, especially with the evolution of adaptive artificial intelligence, we will be able to input positive, empowering information back into the grid and influence the entire social and media content. Inputing back into the grid: Internally create higher frequency dialogue and full color high dpi images that reflect the reality you want to create. Realize you can broadcast these images and information using the telepathic broadcasting component of the awakened outerbody system. For more information on this topic, please click on the link to the following article: Bio-Hologenic Event Images. For a guided audio on developing the ability to broadcast telepathically, please click on the following link: Telepathy I. The outerbody functions as a semi-permeable, selective membrane. This rapidly developing part of our physiology can be regulated through consciousness, and it is helpful to learn new perceptual skills in order to do that. This is especially important for people who are participating in various self-development and health practices, as these usually create a more expanded outerbody system. It is also particularly important for people who tend to be 'sensitive' or 'thin-skinned' to become more aware of their outerbody - they most likely do literally have a more porous outerbody and can be more influenced by outside energies. Until we learn how to feel and purposefully manage the permeability of the outerbody, we are subject to the onslaught of negative vibrational content and its subsequent effects. * The meridian/chakra system is a long recognized and therapeutically used energetic network. They refer to well defined energy pathways that circulate through the physical body and extend beyond the physical body. They are part of the bioplasmic/outerbody system. ** Defi nition of terms: In this article the following terms are interchangable: wireless apparatus, outerbody, bioplasmic body. All of these refer to the same energetic manifes tation of our human system. The different terms are used to emphasize certain characteristics. *** Definition of entrainment in Merriam-Webster dictionary - 1 : to draw along with or after oneself. Spring is generated by rising energy. It is chi that moves upward and outward, transforming from it’s internal recessive winter state. In nature, it is energy moving up from the roots to the branches of the trees; it moves from deep in the ground up and out into the atmosphere. It is felt on that first day near the end of winter, when we feel the cold bareness break and the smell of spring is in the air. In the human body, we feel chi move from a protective inwardness to an outward relaxed feeling - a letting go. Emotionally and mentally, we move from reflective to creative. For many, chi can get stuck in the winter state. This creates energy deficiency, anger and frustration, as the energy is unable to change to the upward and outward direction of awakening spring chi.Recognizing the effects of this blocked or sluggish transition of the seasonal energies can be an important diagnosis with our clients and ourselves. Discomforts and complaints (whatever the symptoms are called) may be a direct result of inefficient seasonal transition. Remember that the quality, results, and success of a bodywork practice is a reflection of our chi, not our advertising. Clients come to spend time in the energy matrix that we create and nurture. Treatment skills are only a vehicle for transporting an atmosphere of wellbeing to the client’s system. As practitioners, working with our own chi is the most effective way to expand our practice. This is not only in terms of numbers of treatments, but also the dimension of positive effects. When the practitioner develops his or her chi flow, it creates a more dynamic experience for the client and practitioner. Below are some practices that you can use to nourish your chi, particularly for this time of year in the northern temperate hemisphere. This practice transports upward rising morning/spring energy from the earth through the body. Chi is conducted via the morning dew and enters the KI #1 vortex for distribution though the system. It particularly opens the liver and gallbladder, which are the organ manifestations and core of spring energy. Breathe in deeply while stepping forward, and simultaneously raising your arms with palms up. Step back to the starting position while breathing out. Repeat a,b,c while stepping forward and back with the other foot. Brush the entire skin surface with a brush, loofa or towel. For a more penetrating effect dip the brush in hot ginger water. Repeat one or two times daily. This practice helps to bring energy to the surface of the body. It opens the the pores and improves breathing. It helps the body clean out and discharge deep inner stagnation. Go to a place where you can hear birds singing. In this expanded state listen to sound and melodies of the bird songs. Notice the sensation of the s ound frequencies vibrating through your system. This practice has numerous transformative effects and is also very entertaining. Interacting with the vibration of the bird song energy creates an uplifting flow of natural chi and initiates movement, positive emotion, and mental clarity. There are yearly cycles of energy expression that are similar to seasonal changes. This dynamic is expressed in the astrology system of 9 Star Ki. On this larger level of influence, we are moving from a water year to a fire year. This again is a shift from water energy and its characteristics to the most outward moving and active energy of fire. In other words, not only are we moving from water to wood energy due to the seasonal change, we are also moving from water to fire in terms of the yearly 9 Star Ki change. This could compound the tendency for people to get stuck in the demands of seasonal change. Therefore, the need for identifying and addressing the water energy shift can be even more important this year in order to maintain well being and balance with our environment. In many ways, the governing and conception vessel meridians are a mystery in shiatsu. There is no diagnostic correspondence for them in the pulse, the hara or the face. There is traditionally no specific technique for treating and balancing the governing or conception vessels' chi. In his book Meridian Exercise, Shizuto Masunaga says that the governing and conception vessel (GV/CV) stand above the other meridians in terms of importance. He states that they regulate the 12 classic meridians along with regulating the basic life functions. Herein lies the mystery: if governing and conception vessel are so important, why is there no diagnosis or specific treatment for them? To help solve what seems to be a huge contradiction in the teaching and practice of shiatsu, we can look at two different dimensions of these master meridians. The first dimension is how they express themselves at the primitive or cellular level of life. The second dimension is how they evolve into a specialized system of energy in the complex human organism. Then we can synthesize these perceptions to create a comprehensive approach to diagnosis and treatment. At the primitive cellular level, motion is the equivalent to meridian. Motion supplies life force or chi to carry out the basic life functions of the cell. Motion is also the same as primitive governing and conception vessel. In other words, the most primitive dimension of GV/CV is motion. As the fetus develops, recreating biological evolution, the governing and conception vessels develop into more linear pathways (meridians). The governing vessel then flowers into the spinal column and its inner components (the meninges, the cerebral spinal fluid and the central nervous system). The conception vessel flowers into the digestive system and its core, the hara. These two master meridians also diversify into the 12 classic meridians of acupuncture, each with a specific energetic pathway and function. Solving the mystery of governing and conception vessel diagnosis comes from the perception and synthesis of the primitive and specialized way that they express themselves in the human being. Subtle motions, which can be seen throughout the body in response to breathing, indicate how well the primitive dimension of GV/CV is circulating throughout the system. Three phases of specific motions and their significance in the healing process is a key aspect of the shiatsu shin tai training. Evaluating the specialized dimension of GV/CV requires a more specialized focus. For governing vessel, the flexibility of the spine and the independent springing motion of the vertebrae show the condition of its more specialized aspect. For conception vessel, the homogenous and resilient quality of the hara shows its specialized dimension. A shiatsu practitioner can help regenerate the most essential flow of chi in the body. By developing the perception of subtle motions and learning specific technique which addresses the uniqueness of the governing and conception vessels, a practitioner can restore the power of primitive life force in the system and assist the client back to a higher experience of life. Shin Tai is an evolving form of shiatsu that makes diagnosis and treatment of governing & conception vessel a priority. Shiatsu Shin Tai expands on traditional Shiatsu massage to create an evolutionary system of diagnosis and technique that stimulates the flow of life force in the body. There is a focus on the treatment of the two primary meridians, Governing Vessel and Conception Vessel, creating a powerful system of diagnosis, theory and technique that facilitates deep transformation. A unique synthesis of structural, fascia, meridian, and chakra technique, this therapeutic bodywork clears stress from the body, and naturally stimulates the flow of energy. While traveling throughout the US and Europe teaching shiatsu for many years, I began to notice the diminishing role of hara in the development of mainstream shiatsu education. I was surprised at the lack of vitality of the hara when watching students work. They were often not working from their own hara, and they were treating without penetrating application. There was also scant emphasis on personal training for hara health. In Zen Shiatsu, a branch of shiatsu created by Shizuto Masunaga, the hara became almost exclusively used for a very light touch diagnosis of other systems of the body. It seemed like students were not integrating what they did learn about hara treatment. Some were afraid to touch the hara and I often saw little change in receivers’ ki (energy) as a result of hara treatment. Some receivers did not want to have their hara touched at all during treatment. Hara is one of the most important aspects of healing in bodywork. Working with it promotes transformation into a state of well being, centeredness and a perspective that brings things in life into balance. Without a thorough knowledge and training in hara treatment, students were missing out on a powerful opportunity for themselves and their clients. When I began studying shiatsu with the Japanese teachers, like Shizuto Masunaga, Michio Kushi, and Ohashi, they all emphasized that treatment revolves around the hara. They talked about how life comes from and is a reflection of the hara. Shiatsu training not only included hara technique as a central element, it also strongly focused on the development of the practitioners own hara. The education included dietary awareness, strong physical exercise and philosophy that awakened the multi-dimensional meaning of hara. It was as much a spiritual training as it was a technical vocational training. Many of the Asian teachers that first presented shiatsu to the west gave very strong and vigorous treatments that were directed by a whole body view with organ, meridian and tsubo considerations in a supportive role. The goal of these treatments was to restore balance and fluidity to the ki flow and to encourage the the body/mind/spirit to discharge toxic qualities of a physical, emotional and vibrational nature. This kind of treatment came to be considered too provocative for the western appetite. Gradually this approach was westernized, modified, and distilled to meet the needs of the clients’ capacity for challenge and change. Over time the role of hara was diminished, both in treatment application and practitioner education. People began limiting the use of hara to kyo/jitsu diagnosis. Shiatsu education became more conceptual and intellectual. It started to emphasize the development of acupuncture theory instead of developing and evolving the the most important quality of the practice - the manual, physical aspect: touch and pressure. This trend has almost overshadowed what was of utmost importance in early shiatsu and it’s origins: awakening the hara in the practice, in the condition of the practitioner, and in the life flow of the healing arts community. Hara is a microcosm of the whole environment: our local landscape, the air we breathe, the water we drink. We can also see the hara as a microcosm of the larger physical and spiritual universe. By spiritual I am referring to the world of vibration, not beliefs or religion. In the taoist practice of chi kung, the hara is open to exchange with all the physical and vibrational forces of nature - air, ocean, geographical landscapes, mountains, trees, environmental entities. Environments themselves have a frequency range and ‘personality.’ Often particularly powerful centers are areas where civilizations develop and grow. Cities, towns and countries flourish where there is a strong flow of ki. It is interesting to walk in a major city and feel the vibrational vortex circulating through all of the buildings, people and activities. Why does a city develop in one place and not another? There are particular characteristics that create access, movement, and resources to feed the creation of that place. There are other areas where civilizations tried to develop, but they withered and stagnated because they lacked the right energetic flow. Treating the hara is one of the most potent tools to improve a person's condition. When we touch someones hara, we can feel their personal history and their environment coming through, depending on our experience. A person’s whole story is in their hara. Working with it gives us one of the best opportunities to listen to and understand who they are. It can transform the health of their organs, emotions and life system. Treating the hara is one of the most potent tools we have as practitioners to improve a person's condition and assist them in the initiation of changes that will lead to engaging in present time with vibrant awareness and health. We all have ideas, dreams and projects. We have a vision of how we want our life to be. However, there is usually a disconnect between how our reality is actually playing out in real time and what our inner visions look like. Maybe there is that rare person whose total image of how they want their life to be matches their actual circumstances, but most people experience some degree of gap between their vision and their current life scheme. For many clients this is in the mix of reasons as to why they come for treatments. They might say ‘I have back pain’, ‘my digestion is not good’ or ‘I’m depressed.’ But as you get to know them a little better, you discover that the inability to create the experience that they desire is a strong force behind what is going on in their life that is making them unhappy. Many of the things that are bothering them physically or emotionally are actually symptoms of this disconnect. There is festering frustration and discontent with the difference between what they envision for their life and what they actually experience, and how that feels day in and day out. In other words, what they dream is not what they experience. Not the dream while sleeping, but the inner semi-conscious dream we have while we are awake. If there is an extreme disconnect, the inner dream becomes fantasy. The closer the dream comes to what is actually happening in the daily life, the less a person fantasizes, and the more engaged and creative the person becomes with what they are doing. The hara plays a large role in translating our ideas, images, and dreams into physical reality. There are several aspects of hara that contribute to this activity of manifestation. First of all, it is the physical seat of our digestive system, which converts food into usable fuel for our body to function and act in the world. The hara transforms food into energy so that we can act, so that we can carry out our visions on the physical plane. The hara also holds the reproductive organs, which function to spark and create new life in manifested form. When the Conception Vessel meridian is flowing with strength and balance, it gives the capacity for visions to begin forming into third dimensional reality through a process of fertilization. Ideas become pregnant. They enter the phase of developing into a fully matured form. I am working from the unique premise that the hara is the most direct way to diagnose and treat the Conception Vessel and effect this capacity. It makes sense that when the Conception Vessel is flowing well, our ability to conceive is enhanced. A third factor that contributes to the hara’s role in manifestation is related to the hip structure. I consider the hip structure as the bony aspect of the hara, and the hip joints as the mechanism that set the hara into motion. The hara and its motion are prominent factors in moving our intentions into the life sphere; they play an strong role in determining what unfolds there. When we work with clients and treat the hara, it becomes more clear, strong and balanced. The organs begin to function better. Circulation and oxygenation of tissues is increased. The flow of the Conception Vessel meridian improves, and the mobility and alignment of the hip structure improve. The hara can now better do its job to translate images and intentions into the physical plane, and a person’s ideas about their life and their life itself begin to have a more direct correlation. Shiatsu books give lists of conditions and symptoms that shiatsu can cure. But in the end, does shiatsu really ‘cure’ conditions? And does viewing and practicing shiatsu from that perspective allow us to access its most powerful potential? If a person pursues a path that does not resonate with their true nature, their potential for creating and expressing is often greatly diminished. Shiatsu is often practiced in a way that exhibits this dynamic; instead of taking full advantage of the unique capacity of touch, it tends to be approached from a specialized and conceptual framework that is not in alignment with its true nature. Over the past few decades, shiatsu is often used in a way that is trying to emulate the practice of acupuncture and other more western therapeutic practices in order to gain more respect with the medical community and general public. But just like when a person tries to imitate another in order to 'be better,' this method not only backfires, it misses the opportunity to utilize the unique capacity of shiatsu: to effect change at the most primitive layer of the information system. Instead of working in a specialized manner to adjust the function of the meridians and organs and systems of the body, shiatsu often has more power when it goes underneath these levels to address the core energy, or ki, of the body. We are not doing surgery, acupuncture, osteopathic or chiropractic work. These are very valuable therapies that each have unique healing effects on the body. But in shiatsu, we are working with touch that is applied within specific parameters. What is the most we can accomplish with this type of bodywork? In order to access the true transformative potential of shiatsu and shin tai (a form of shiatsu that uses Governing Vessel & Conception Vessel as a primary means of evaluation and treatment), we have to understand the origin and nature of touch. Touch and touch response is the most basic sense of the primitive cell. Touch makes the distinction between the cell and its environment through responses in the cell membrane. The membrane registers changes in chemical composition, light, vibration, and pressure. Touch contains the information of all the other senses. For example, particles of a substance need to ‘touch’ the olfactory receptor neurons in the nasal cavity in order for it to be detected as a smell. When a sound is made, the vibrating sound waves that are created need to touch and vibrate the ear drum in order to be heard. Touch is a factor in all of the sensory experiences, and pressure is the medium through which it is discerned. Because touch is the most primal sense of the primitive cell, it is the most potent means to restore the primal life force of the body. And because touch applied with pressure is a primary characteristic of shiatsu, this type of bodywork has tremendous potential to effect change at this level of the body. Rather than try to emulate other methods of therapeutic practices (such as acupuncture) by introducing more complexity and focusing on specialized diagnosis and treatment strategies, we can instead amplify the unique transformational possibilities of our work by using it in a way that is in alignment with its true nature. By focusing on using shiatsu to restore primal life force through touch, we can unleash its greatest potential. If you are reading this article, you have most likely chosen to practice bodywork in some capacity. This means you have an affinity for this style of healing. Rather than study to become a doctor, a chiropractor, an acupuncturist, etc., you have chosen to learn about bodywork. You are attracted to using touch as a means of listening, healing and transformation because it suits some part of your nature. In uniting your own nature with that of shiatsu lies an extraordinary opportunity for you to provide an expanding experience of freedom and creativity to those who come to you seeking health. During a recent 'Governing Vessel & the Spine' course, we livestreamed a portion of a talk on the bioplasmic body and proprioceptive exercise. Because it was live, the video is informal and the sound quality is not great, but please enjoy the content. Make sure to turn up the volume on your device/computer as well as the video. This material is integral to developing the sensitivity to do Shiatsu Shin Tai bodywork. We welcome your comments and questions below. Vision of Life = Life? We all have ideas, dreams and projects. We have visions of how we want our life to be. However, there is usually a disconnect between how our reality is actually playing out in real time and what our inner visions look like. Maybe there is that rare person whose total image of how they want their life to be matches their actual circumstances, but most people experience some degree of gap between their vision and their current life scheme. For many clients this is in the mix of reasons as to why they come for treatments. They might say ‘I have back pain’, ‘my digestion is not good’, or ‘I’m depressed.’ But as you get to know them a little better, you discover that the inability to create the experience that they desire is a strong force behind what is going on in their life that is making them unhappy. Many of the things that are bothering them physically or emotionally are actually symptoms of this disconnect. There is festering frustration and discontent with the difference between what they envision for their life and what they actually experience, and how that feels day in and day out. The hara plays a large role in translating ideas, images, and dreams into physical reality. There are several aspects of hara that contribute to this activity of manifestation. First of all, it is the physical seat of our digestive system, which converts food into usable fuel for our body to function and act in the world. The hara transforms food into energy so that we can act, so that we can carry out our visions on the physical plane. It also holds the reproductive organs, which function to spark and create new life. When the Conception Vessel meridian is flowing with strength and balance, it gives the capacity for visions to begin forming into third dimensional reality through a process of fertilization. Ideas become pregnant. They enter the phase of developing into a fully matured form. The Hara is the most direct way to diagnose and treat the Conception Vessel and effect this capacity. A third factor that contributes to the hara’s role in manifestation is related to the hip structure. I consider the hip structure as the boney aspect of the hara, and the hip joints as the mechanism that set the hara into motion. The hara and its motion are a large factor in moving our intentions into the life sphere and so play a role in determining what unfolds there. When we work with clients and treat the hara, it becomes more clear, strong and balanced. The organs begin to function better. Circulation and oxygenation of tissues is increased. The flow of the Conception Vessel meridian improves, and the hip structure gains mobility and alignment. The hara can better do its job to manifest images and intentions into the physical plane, and so people's visions about their life and their actual life itself begin to have a more direct correlation. We welcome your comments & questions below. Please make sure to sign up for our mailing list if you would like to receive articles, videos and course announcements about shiatsu bodywork. Having just passed the Chinese New Year on 28 January, we have entered into the year of 1 Water according to a system of astrology called Nine Star Ki. The 1 Water Year is a good time to reconnect to the spiritual quality of the practitioner/ healer. It is a good time to develop the spiritual side of our practice by clearing our vibrational fields and expanding the non-linear, non-conceptual layers of our approach to treatments. * Please see the footnote at the end of this article for more information on Nine Star Ki and the 1 Water Year. True practitioners, by nature, are always seeking to grow and deepen their understanding of life force. By aligning with the particular energy of each yearly cycle, we are empowered in the journey of self development, social understanding and spiritual insight. Accelerated learning is available when we are conscious of the lessons each year provides and can realize the unique ways in which nature delivers these lessons to us. Accelerated learning is available when we are conscious of the lessons that each year provides. Most practitioners these days have learned in a classroom which provides a methodical and informational way of education. Due to a global emergence of accreditation requirements and education regulations, it is possible to obtain certification by passing tests and fulfilling time requirements, but without the true inner development that was the essence of real training in former times. Masters and teachers, particularly those rooted in the Japanese culture, traditionally delivered a more vibrational, spiritual training; an organic training that required surrender and mindfulness to the process. It was often crafted by the teacher to specifically challenge the physical, emotional and mental areas where the student needed to develop the most. The teacher monitored the student’s growth in character, their insight to life force and their awareness of life cycles. Ultimately, the teacher was looking for the student’s understanding of the spiraling see-saw of Yin and Yang. Often the teacher may have seemed overly demanding and insensitive, however, the reality was just the opposite. The traditional teacher was actually honoring the student’s (or apprentice's) request to become a qualified practitioner. Even though some students might resent the demands of the training, in the end only those with clarity, commitment, and endurance emerged as practitioners with the teacher’s blessing and the capacity to be a true healers. In the last years, the kind of training talked about above has become quite rare. Many students now want to put in the required hours and get a certificate, without the sweat and tears or personal transformation required to become a genuine healer. Often times this person doesn’t really succeed in creating a successful practice and eventually quits. They never realize that the healer's path is not only about helping others, but is also a journey into the depths of their own awareness and truth. Absent the environment and teachers in todays world that can deliver such a training based on transformational achievement, and not just time requirements, the student/ seekers must challenge themselves to the rigors of discipline and sacrifice. They must find a way to exercise the body, mind and faculties of perception. They need to be persistent and develop the will to pick themselves up from hardship and failure. In the end, it is this honing of skills and submerging in the fire of life that forges the person who is able to do the work of healing. Many times over the years I have heard explanations about “what is shiatsu." Some of the definitions have been eclectic, recognizing that the ideas and techniques that create shiatsu are a compilation coming from many different backgrounds. Other definitions insist that there is a very narrow parameter to what shiatsu is, and, what it isn’t, and that it includes only certain techniques and can only be done wearing specific clothing on a particular surface. Japanese culture has developed from a perception of vibration or energy. To really understand Shiatsu we need to consider and reflect on the spiritual and cultural influences from which it emerged. The Japanese culture is one that has developed from a perception of vibration or energy. Japanese arts and sciences are rooted in the knowledge that energy precedes matter. All physical manifestations are seen as appearances representing an ever changing flow of energetic forces. We see this expressed throughout all levels of Japanese life. There are examples in architecture, medicine/ healing, Do-In, dancing, music. calligraphy, martial arts, flower arranging, gardening, etc. The study of Kotodama - the spirit of sound, words, and language- teaches that all manifestation first exists as vibration. Vibration becomes sound, and then manifests within various energetic and physical dimensions. Let’s take the word shiatsu for an example. On the most dense level it means finger or thumb pressure. Shi means thumb. Tsu means pressure. We can also look at the other ways that the vibration (or spirit) of these syllables infuses into our human experience. Shi also becomes fire, plasma, astral, heart, consciousness, and thumb: In human development, the thumb appeared and made the hand our most basic tool. Simultaneously, as the thumb developed man stood up. This activated consciousness due to higher frequency energy moving through an erect spine. Man is also a sentient or emotional being (astral). The heart organ is a condensation of fire in the body and plasma is the basic substance of the cell (protoplasm) and the quality of the energy body (bio-plasm). All of these appearances and connections are from the vibration of shi, stepping down from the infinite into different planes of reality. Tsu means pressure and can also indicate “the cycling of electromagnetic energy:" The cycling of electromagnetic energy (tsu) is the primitive expression of life force. This also creates the channels of energy called meridians. Meridians are found running through the earth, all of nature and and through the human body. Different degrees of pressure contain life force or ki and give it the possibility to become a multitude of inorganic and organic forms. Connecting the two sounds is “a” or “ah” which is a vibration of origin or genesis. SHI - A - TSU: Shi and tsu connected by “ah” describes the conditions and uniqueness in which vibration unfolds and creates the human as a physical, emotional, and spiritual being. Another good example of word spirit is the Japanese term for the weather - tenki - which includes the sound “ki." Nowadays, most people using this word only recognize the superficial meaning of the sound. Tenki actually means the ki (force) of heaven. The word hara is another interesting vibration. When it stands alone, the word represents the abdomen on a physical level. On the energetic level hara is the center of life force; it is a microcosm of the physical, emotional,and mental. It is the sum total of a person's life system and the environment in which they dwell. When the sound hara is combined with other sounds in the Japanese language, it indicates a description of life quality. In all the art forms of the Japanese culture, awareness of hara is the starting point. In martial arts, noh dancing, calligraphy, flower arranging, archery, the sword, wrestling, exercise etc., action and creation are seen as originating from the hara. Training this awareness has always been the most important part of developing any skill in Japanese culture. Shiatsu is included in this list. Hara is the essential aspect of the practice. It is not the techniques that makes shiatsu, but rather the use of the practitioner's hara. From the hara, the practitioner can feel the life force or ki of the client and move in a way that brings the flow of energy to balance. So there are many styles, some very different from the others, but all are called shiatsu. Some use meridians, some use a whole body concept without meridians. Some styles focus on the treatment of the hara and some are more energetic. In the end, however, what makes it shiatsu is simply the practitioner using his or her hara with the intention to balance the receiver's ki. The spirit of Shiatsu is rooted in the vibration of the word Shiatsu, and the values of the culture from which it emerged. While in modern terms shiatsu may mean finger pressure, this a very dense or linear way to see the word. It could be that, consciously, the person that first used the word only meant it this literal way. At the same time, because of the deep heritage of vibrational and spiritual practices in the culture that gave birth to shiatsu, I would say that subconsciously the expanded spirit of the word is implied. This is understood within that culture, but often times lost in translation. The word and its full impact can not be separated. It is no coincidence that these were the sounds chosen to describe the practice, influence and effect of Shi-a-tsu. In the 38 years that I have practiced shiatsu I have met various practitioners from Japan that said they were practicing shiatsu. And even though what they were doing was quite different from each other, they all agreed on several beliefs. First, the importance of Hara in the training and practice. Second, all held a reverence for life force and the spirit behind the practice. It was like respect for an elder, or the honoring of higher powers in nature and the universe. Nine Star Ki is a system of astrology that is part of the Tao tradition practiced throughout China, Tibet and Japan. It is based on a nine year cycle that reflects cycles of influence that effect our planet as it orbits through the galaxy. As Earth's orientation changes, the electromagnetic effects from all the stars and planets changes as well. These influences affect everyone individually, and it can bring more ease and strength into your life if you tap into the energy of the year. The energy of this year supports spiritual growth, flexibility, listening, and connection to other dimensions of ourselves than are normally accessible. Think of the qualities of water and that will activate more insight into the qualities of the water year. The organs associated with the water year are the kidneys and bladder. In Chinese medicine the kidneys are related (among other things) to our ancestral chi. This makes it a powerful time to connect with the roots of not only our own family, but any tradition or practice. We would like to invite you to make time/space this year to focus on your spiritual growth as a practitioner, so that you can experience more depth and fulfillment in your work and your life. The topic of intention is a necessary one to address in any bodywork training. It is important to understand what it is so that we can give treatments with clarity and direction while also listening to the needs of each receiver. Reflecting on the role of intention can also greatly increase the effectiveness and power of our treatments, as well as increasing the effectiveness and power of all of our life activities! Why do I need intention when giving treatments? "Lately I am struggling with the concept of intention, and I am not sure whether I am not understanding it. Why do we need to intend anything while giving treatments? I myself am not sure that I want someone else's intention in my system, particularly if they don't have clear systems themselves (and who does have a completely clear system?). My thoughts are that when we "intend" we are using the intellect/mind to intend and this can "pull" us out of connecting with our own body. When I "intend" it feels that I am in my upper body instead of working from my hara i.e. lower body. My thoughts are then when working completely from the hara (which contains the whole), I don't need intention because my whole body is working with someone else's body. Then I am responding to what's in front of me without any "intention" at all. I would really appreciate your thoughts about this as I have struggled with this concept for some time. The struggle is also about the role of intention in my life. In other words, if I don't "intend", I am forced back into the flow of life and my authenticity around that. But that's conditional upon being fully in my body/hara, because with that sensation comes the quieting of the mind and any intention." Intention is meant to be applied as a synthesis of these three dimensions. The thought (intellectual or mental) dimension does not necessarily play a dominant role. The influence in the moment can sometimes come more from one dimension than the others depending on the situation: there can be a momentary instinctive understanding, there can be an intuitive message or there can be an intellectual awareness. In that case the dominant aspect is also synthesized with the others to create a full spectrum of information. Intention really means how you want to direct ki. As an example, with kyo and jitsu, the same technique can be used for either condition. There is a brief awareness & synthesis of information that creates the intention in how your ki is directed and how it will influence the treatment. This article began as a response to an email from a shiatsu shin tai practitioner. She was experiencing complicated responses to treatments herself, as well as in people who were receiving bodywork from her. A main question she had was regarding the role of a practitioner in providing advice to clients about lifestyle choices (diet, exercise, therapy, etc.). She also had concerns over the fact that most receivers did not have the will or ability to address changes that they needed to make to improve their health. These are issues that are important for all of us as bodyworkers to address. We realize quickly after beginning to work with people that there is more to giving treatments than the hands-on work, although that is primary. From the initial hello and discussion, getting a receiver on the futon/table, leading them into the treatment itself, and getting them up and on their way afterwards, it can be a bit of a juggling act to keep the session focused on the hands-on work. People coming for treatment are often in dire need of compassion and assistance, and it is our job to make sure our hands do most of the work rather than our mouths! "In my experience, it is a real minority of people who are willing to put the immense time and effort that is needed into self healing. A lot of this is cultural conditioning that other people can cure or heal you, without the 'patient' having to do anything. People are very reluctant to address diets, other than maybe a basic alteration. We are so disconnected from our food and bodies, that it has become imperceivable that food and emotions are underlying the majority, if not all of the discomfort in our bodies and minds." Shin Tai (an evolving form of shiatsu) focuses on clearing the primary information system of the body (the governing vessel & conception vessel meridians). This is done through working on many layers of the body: bones, muscles, organs, meridians, chakras, outerbody.... The practitioner learns to read which layer is the priority and works accordingly. Working directly with the body is considered the practitioner's main job. They are trained to clear restrictions and create more alignment & vitality. This helps to reestablish the receiver's will to take care of themselves. When the body is more clear and 'online', the receiver then has access to more accurate information as to what will be best for them at that time. This might be in regards to diet, exercise, relationships, environment, job, etc. Their own body has the most wisdom regarding life choices and direction. Practitioners are instructed to give some pointers and references, but mainly to trust in the process of the treatment itself to empower the receiver's body to direct their life. Therein will be the most accurate, real-time information to best serve the receiver. "I spent years in therapy, believing that if I fixed the emotions (childhood sexual abuse), then everything would be ok. But that didn't work. Then I moved to bodywork, thinking that would solve everything. But that didn't work either. Then the spiritual life took precedence as a solution. But no, that didn't solve everything either! Now it's on to dietary needs!!" The fact that you are finding your way along different avenues that support your healing and development is in part due to the therapy, bodywork and spiritual work that you did. It is normal that the priority of what to address can change over time. For example, sometimes diet will be most important, and then it can shift to bodywork. Often, we as receivers do not recognize changes that are occurring because we are so attached to them showing up in a certain form. That being said, shiatsu/shin tai practitioners are trained to give some instruction on diet, exercise and other self-development practices. Practitioners are also trained to know when and how to give information that could be helpful to a client. Of course these skills require years of practice and development, and every practitioner has different capabilities and strengths that they can offer their clients. But always the main role is to do the bodywork. Not talk too much, nor get into the client's story or issues through words too much. If it seems like therapy or a nutritionist or a trainer could be helpful, the practitioner may give references. But we let the touch do our main work. That will empower the client to learn to listen to their own inner guidance, their own blueprint. Nothing could be more accurate than that. Getting caught up in discussions and advice about diet, etc. often do not penetrate and create shifts in the client. But working beneath the words, beneath the typical advice - that's where shin tai can offer a unique opportunity to empower transformation! It is not personal and can save the practitioner a lot of energy. "I feel we are doing clients a disservice by not mentioning lifestyle. When people seek treatments, they often have no real idea of what is involved or the depth of what they are entering into. They just want to be 'fixed'. Personal responsibility is not something many people want to hear about. I have a 9 year old who feels and sees the effects junk and certain foods have on his system, as he holds a cramping stomach or has to stop playing football while he has another coughing fit. But then he sees others eating those foods and not having any visible negative effects. He won't do a 3 minute qi gong exercise to help strengthen his bladder, yet hates wetting the bed! Adults have many, many more years of resistance in them. I was extremely disillusioned with shiatsu and had been for a while. Shin tai has recovered some life force around bodywork for me. Ironically, I am feeling the effects of shin tai at a deeper, more fundamental level, even during a time when both my physical and mental health is at such a low ebb." When life force is recovered, people naturally have more energy and will to address the changes they need to make. They also have access to what direction would be most useful for them at a given moment in time. Of course, every choice is 'useful', but some bring health and development with more ease than others. The goal in shin tai is to empower the receiver to heal without so much suffering, without so many hard lessons that wake them up through crisis. It was years of experiencing clients not being able to make changes in the factors that created their illnesses that led shin tai work to make hands-on work the priority for introducing change into the receiver's life. If you were receiving treatments with me and I heard how you were feeling and how you became disillusioned with bodywork, I would encourage you to really notice the feelings underneath that. Feel them. Feel how your body feels when you feel like that. Going through that and those feelings is actually uncovering the tone of pain that underlies your physical symptoms. Support yourself in whatever ways you can and whatever ways seem most pertinent and potent. One of the unique strengths of bodywork is its ability to introduce change from deep within the body. Without any words, without giving any advice, without the receiver needing to consciously process past trauma - change moves forward. Restrictions loosen, life force surges, organs regenerate, emotions mature. Psychological distortion lessens. Consciousness and physical health grow. It does not mean all problems go away and health is perfect. When I began receiving bodywork over 20 years ago, I was in a serious physical and emotional condition. I had little knowledge of how to take care of myself. I was so unaware of my body (although I didn't think so!) and unable to take much responsibility for my situation. Through a combination of treatments, lifestyle changes, supportive relationships and many, many painful 'mistakes' I worked my way towards a stronger more balanced state. But I still require much self care to function at a level that many people seem to take for granted. It is each individual's responsibility to keep listening to their inner guidance as it grows in sensitivity. We can encourage our clients in this direction. That guidance will continue to lead them through layers of choices that may be dynamic, changing over time with the needs of their body. It is best to not to get attached to one way of eating, one path of healing, rigid beliefs about what is best and what will work. These things will change, they will shift. Each person can grow in power to read and act on the information that lies within their own body to lead then towards regeneration and vibrant health. There will be unexpected directions that this will take, and it is important to keep listening and engage in every stage of the journey. It can be effective to share this knowledge with our clients as they move through the healing process. Look for moments when it is appropriate to talk to them them about how the work is affecting their body and their life. Keep your eye out for the times where a little bit of advice can go a long way. But keep the focus on using your hands. They will help unleash the inner guidance that lies within the body. Shiatsu has evolved over the years in how it is taught and practiced. Some of the original power of this ancient healing art has been lost due to an emphasis on specialization and certification. Although more contemporary methods of treatment, technique and diagnosis are very valuable, it is important to also integrate the original principles of shiatsu into your practice so that receivers and practitioners can reap its full benefits. Please read below about the 7 core principles of shiatsu. A practitioner could use any “impression” of ki that characterized the overall energy of the person. The treatment approach was often times simple and based around balancing the overall condition of the client. A shiatsu practitioner might say “If ki doesn’t move make it move” or “If ki is too dispersed then bring together & ground the ki.” The treatment might also include one or two specific targets, such as addressing the condition of an organ or body system. * Please click here for more information about our online instruction course in traditional shiatsu. 2. A Person’s Ki Reflects the Sum Total of Their Environment & Way of Life. Seeing and having empathy for the forces that have formed a person's ki matrix, including the imbalances, helps a shiatsu practitioner direct his or her technique in a way that allows the treatment to reach the basic core of the receiver's needs. The treatment stimulates ki, which then activates the parasympathetic nervous system. This activates the regenerative functions of the body, including the immune system. The stimulation of ki also encourages the body to purge itself of life suppressing toxins and stagnating debris that has been stored in the body over time. This process is called “discharge." It can cause the symptoms of a condition to temporarily get worse. After the the discharging process has subsided, a person feels much better and more alive, because the body is clearer and can perform the life functions with less interference. Old school practitioners therefore felt that a treatment was very effective if the client became sick afterwards. This can be difficult for westerners to accept. But these traditional practitioners understood that before healing takes place, the symptoms can appear to increase and that this is a very positive sign. We can also transpose the idea of discharge to transformation of emotional patterns and beliefs that undermine a person's health and happiness. When the physical body changes, these things change as well. As that occurs, the life system can temporarily recreate situations that imitate the ones the formed the patterns in the first place. Originally, shiatsu trainings were centered around the the physical, emotional and spiritual development of the student. Technique was often secondary. Classes always included exercises and practices for the personal growth of the aspiring healer. The training emphasized obtaining the strength, flexibility, and the awareness needed to navigate life and its’ challenge of constant change. Many of the practices also focused on developing the perception of vibration, and the effect it has on our individual and collective lives. Practices such as chanting, aura clearing, palm healing, and activating chakras were used to give the future practitioner the health, vitality and perception for an effective, successful practice. Please click here to listen to a lecture about the vibrational meaning of the word 'shiatsu' and learn more about what it represents. There were also techniques given for healing ancestors. This added greater depth to emotional and mental clarity. Shiatsu was ultimately presented as a way of life. A person needed to practice and develop themselves to acquire well rounded skills, experience and knowledge. Their practice was seen as a reflection of their own condition. These may be difficult ideas for people to understand in our contemporary career-oriented society. Now many students want to go to school only to get a certificate. They pay their fees and feel entitled to have classes on their terms and to have the standards lowered to their expectations. Traditionally the right to practice was determined by the students dedication to the process and the fulfilling of the many unseen requirements that really create a qualified healing practitioner. * Originally, shiatsu was a path of service and self realization. Beginner's Mind is the foundation of a shiatsu practitioner's attitude. Approaching each situation (treatment) as a blank page waiting to be filled in gives the possibility to see a situation clearly and accurately. Beginner's mind takes off the filters that tend to distort and prejudge what we are actually seeing. At the same time, there is great value to protocols, systems and conceptual knowledge. These serve as structure for learning and developing skills. However, although protocol has an organizing effect on treatments, it must ultimately give way if we want to see each client as they are and allow their uniqueness to create the treatment map. What we learn by exercising beginners’ mind in our sessions transposes into one of the most important lessons for being in the moment and enjoying life. The development of a practitioner meant an evolving awareness of hara. It meant creating a strong physical hara through training as well as a metaphysical understanding that hara is the key to centeredness in life, relations and purpose. Hara is not really something to be talked about. It is an experience of connection to nature and the earth. ** Please click here to read about our video instruction course in traditional hara treatment. Shiatsu is a practice of balancing ki. We move ki, calm ki, activate ki, soften ki, etc. We use our perception of energy and vibration to harmonize unequal forces of the clients ki to improve their state of well being. In life, we can use consciously formed intention to direct energy in order to create the circumstances we desire. In treatment, we can form our intention to direct energy where and how we want it to flow within the receiver's body. Intention creates an atmosphere that supports the practitioner in their work and the client in their healing. Attention is where we focus our ki. Whatever our attention goes to, is magnified and becomes bigger in proportion. Often we see clients who have many good things in their lives, but they are focusing on the 10-15% that may be difficult. Therefore the 10-15%, in real space and time, dominates their life and appears to be 50-90% of their reality. At the soul level, clients are the ultimate mirror for the healing practitioner who is walking the spiritual path. The people and clients we attract in our lives have the problems and habits that reflect our own on some level. Shiatsu practitioners are not curing people. They are entering into a partnership during the treatment that encourages the innate healing power of all involved to awaken. This is where we can set our intention and focus our attention. Here is a story Saul is telling about something that happened during a class he had with Masunaga. It is about beginner's mind, one of the most important things to cultivate while doing shiatsu! We welcome your comments & questions below! Early on in Saul Goodman's bodywork studies, he had the good fortune to study with several of the shiatsu pioneers that brought the practice to the West. He took classes with Masunaga, Yamamoto, Kushi, Bo-In Lee and Ohashi. As shiatsu has become more standardized in the last 25 years, much of the spirit & style of these original teachers has fallen out of use. We welcome your comments and feedback below! This is a short clip of Saul Goodman discussing the primitive nature of traditional shiatsu. Saul is highlighting the strength of the original shiatsu that was introduced to the west in its ability to address the primitive energy, or chi, of a human being. Saul actually studied with Masunaga and greatly respects his teachings, and he also wants to stress that the use of organ diagnosis and meridian treatment should not override paying attention to the the condition of overall chi in the body. When giving hands-on help to those in need, there are a few key points that can make everything you do more effective and safe. Each of these things could be a whole course in and of themselves. In fact, in Shiatsu Shin Tai classes we cover them quite extensively. For now, we will touch on them briefly in order to help improve the quality of your work. Always use pressure and movement that is within the receiver's comfort zone. The goal is to gently encourage the body into new ranges of mobility and freedom. A receiver may feel slight discomfort at certain points of the treatment, but it should be a 'good pain,' not an 'I can't wait until this is over' pain. A good way to go about this is to go into each technique as far as is easy, and then take it just a little farther. If you notice your receiver clenching their body, tightening the whole area you are working on, or holding their breath, you are using too much force. As you do a technique, the area you are working with may soften or increase in flexibility. At that point you can take the technique a bit further, always staying within the receiver's comfort zone. When doing treatments, using your body properly is of utmost importance. 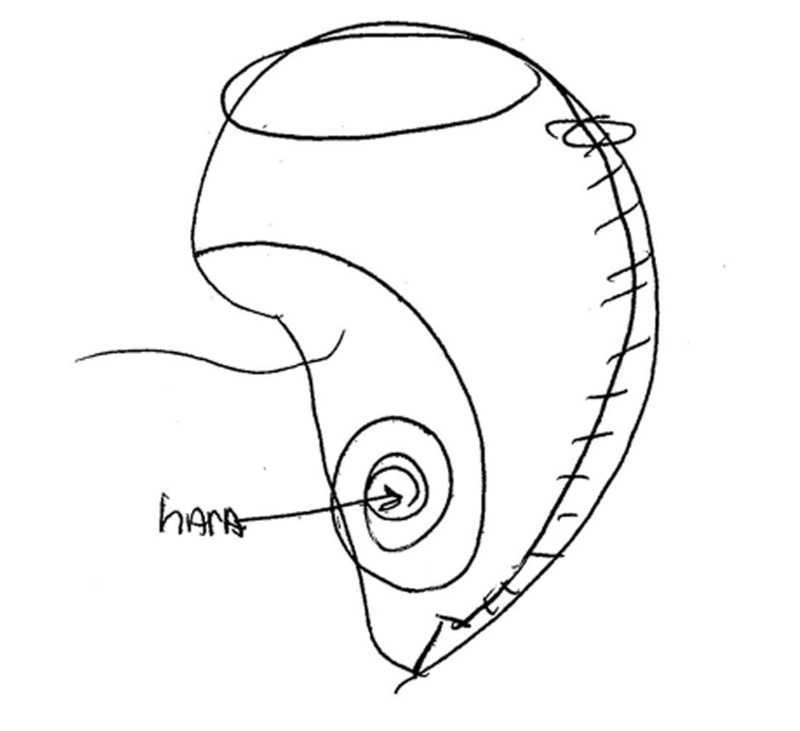 In shiatsu, practitioners are trained to move and apply technique always coming from their hara. Hara is a Japanese word that has many layers of meaning. Anatomically it refers to the abdominal region of the body, or our center of gravity. But hara can also extend to mean life quality. Hara is a central theme in the thought process and way of life in China and Japan. Whether it is shiatsu, martial arts, flower arranging, noh dancing, or any activity, the origin of action is in the hara. When practicing the techniques in this course with your family, friends and clients, it is important to have an awareness of your hara as you are working. You can begin on your own to practice moving from your hara, by keeping some focus on your center of gravity and your hip joints. Allow your belly to relax and settle down into your pelvic structure as you work. This will help you be comfortable and treat with power, without exerting much physical effort. Watching the demonstrations in our videos and courses will give you enough information to begin to cultivate an awareness of moving from your hara. We can do bodywork with children and the elderly, and with people who are in a weakened condition. But there is an important difference to be made: always treat with LESS pressure and LESS movement. If someone's system is not fully developed (a baby through the late teen years) or in a weakened state (an elderly person who is not in vibrant health or someone who is ill), we want to introduce change more slowly. The idea is to stimulate an amount of movement and energy flow that the receiver's system can handle with ease. When motion and energy are stimulated in the body, toxins that have been compressed are released. These toxins can be chemical, emotional and psychological. The physical toxins need to be flushed out of the system through the bloodstream, skin, intestines, and/or kidneys. The emotional and psychological 'toxins' or stresses need to release through the web of a person's emotional landscape and belief structure. If too much toxicity and stress is released at one time, it can become bogged down and cause sickness, discomfort and excessive emotional turmoil. We want to make sure not to give a very young, very old, or a weakened system too much to handle at one time. So pay attention to who you are treating. If they are very young or old, or in a weakened state, go slower. Work with less pressure. Treat for a shorter period of time. If the technique says 'do three times', do it one or two times. The basic rule of thumb is that if you don't force, the body will release what it can handle. If you force, you may stimulate too much change at one time. Sometimes there will be some discomfort after a treatment. But we are looking to not overwhelm the system with too much change at one time. You will see that Saul usually works on a futon when demonstrating techniques in the online courses. He also uses something called the BodyCushion, a set of cushions designed to give the receiver maximum support. These things are useful, but you do not need these things to give a great treatment. If you are already a professional bodyworker, you most likely have a massage table or futon, plus a variety of bolsters and cushions handy for positioning. If you don’t have these things, don’t be afraid to be creative. Your receiver can lie on some blankets on the floor or on a bed. When I was starting out, I even practiced on people on my dining room table! A couple of sleeping bags made it a great surface to use. You can also use rolled up blankets or pillows to help provide support when needed. Work with what you have to make your receiver as comfortable as possible. Note: When working with a receiver in prone position (face down/lying on the stomach), it is important to make sure their neck does not get stiff from being turned to the side. If a receiver is uncomfortable lying with their head turned to one side, put a small pillow or rolled up towel underneath the shoulder on the side to which their head is turned. This relieves some pressure in the neck and makes them more comfortable.